You usually need to be both famous and dead in order to be immortalised in metal or stone but not in the Minho. 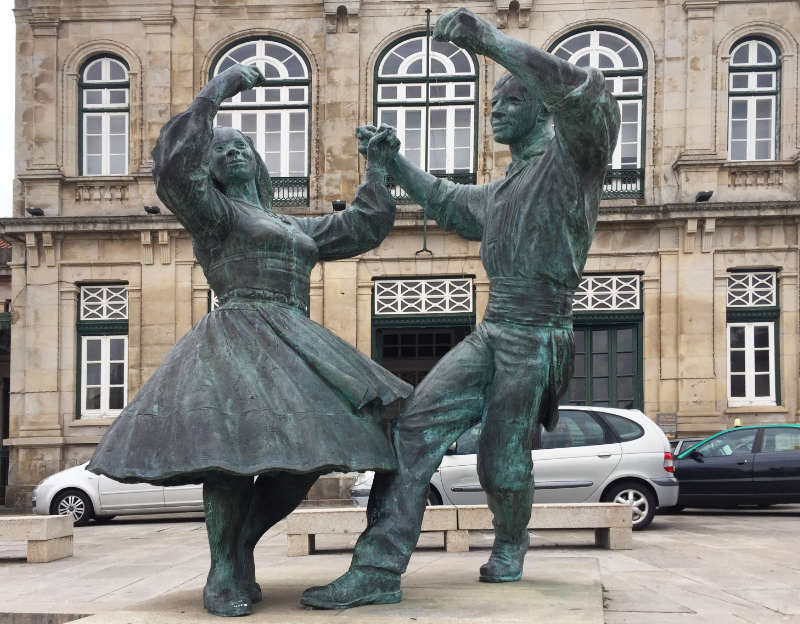 If you come up from Porto to Viana do Castelo on the little stopping train, you will find this metal cast of traditional dancers just outside the entrance to the station. These statues aren't of long forgotten dead folk: instead they celebrate a vibrant, living tradition. 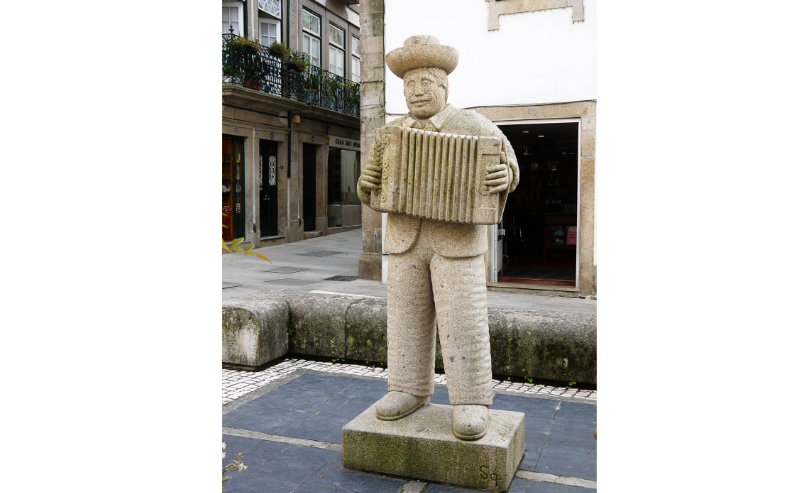 To find another example of folkloric statuary and see some real life musicians and dancers, click here. 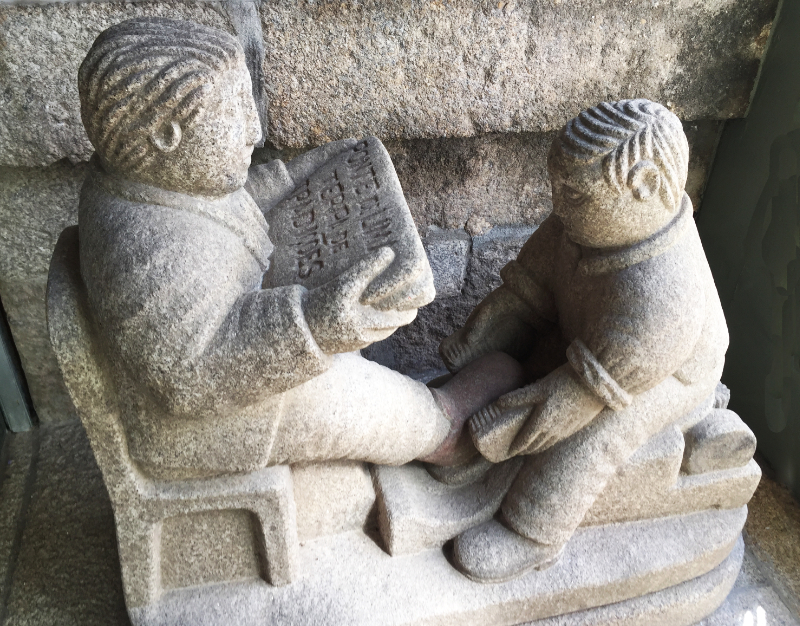 But enough of stone statues, let's meet the flesh and blood players and dancers of a region which is known as the home of folklore, the Minho. 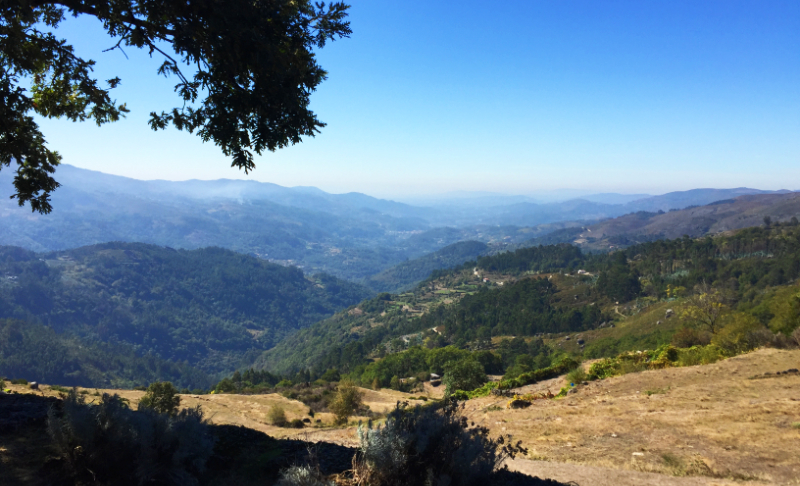 The north of Portugal is just bursting with local groups, known as 'ranchos folclóricos'. 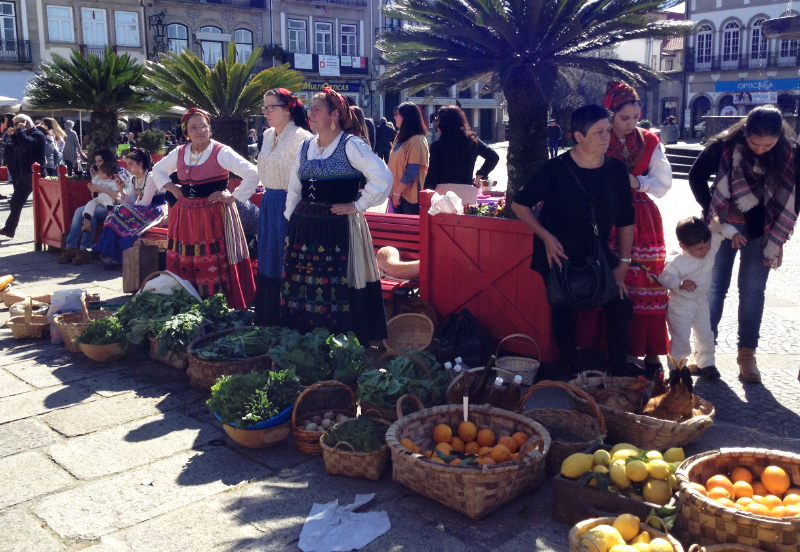 If you come into Ponte de Lima on a Saturday morning – and sometimes on a Sunday – as likely as not you will find a stall offering delicious looking breads, rissoles, chouriço – known in the UK by the similar name 'chorizo' – various local delicacies and produce all sold to fund the village troop. There will be men and women playing musical instruments as well as singers and dancers, all of them in traditional costume. 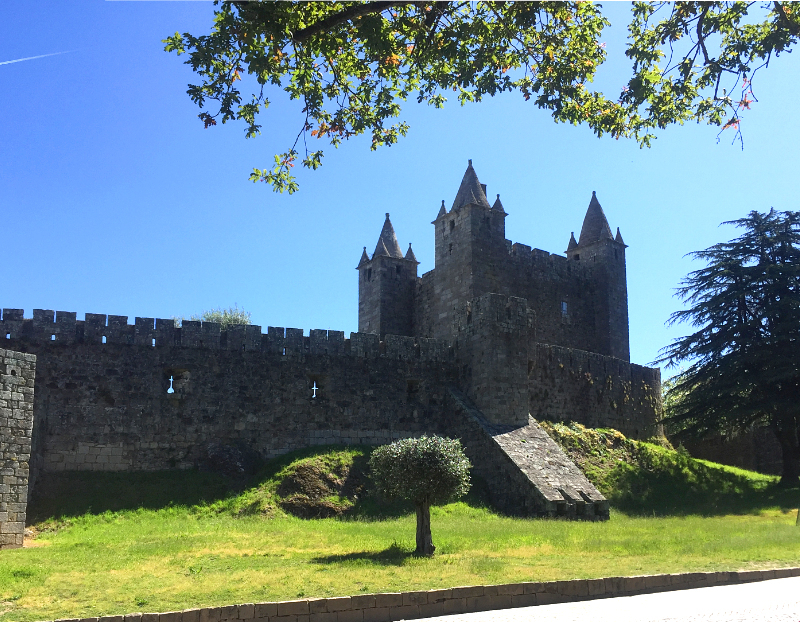 The ones above are from a village called Correlhã, a couple of miles from Ponte de Lima. But it doesn't have to be just the dancers who enjoy themselves. 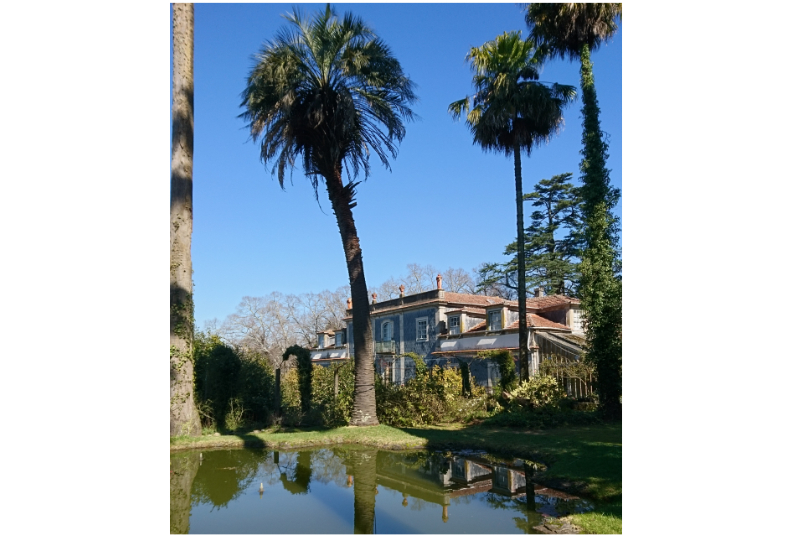 Visitors who are knowledgeable, brave or simply extrovert enough can join in too. 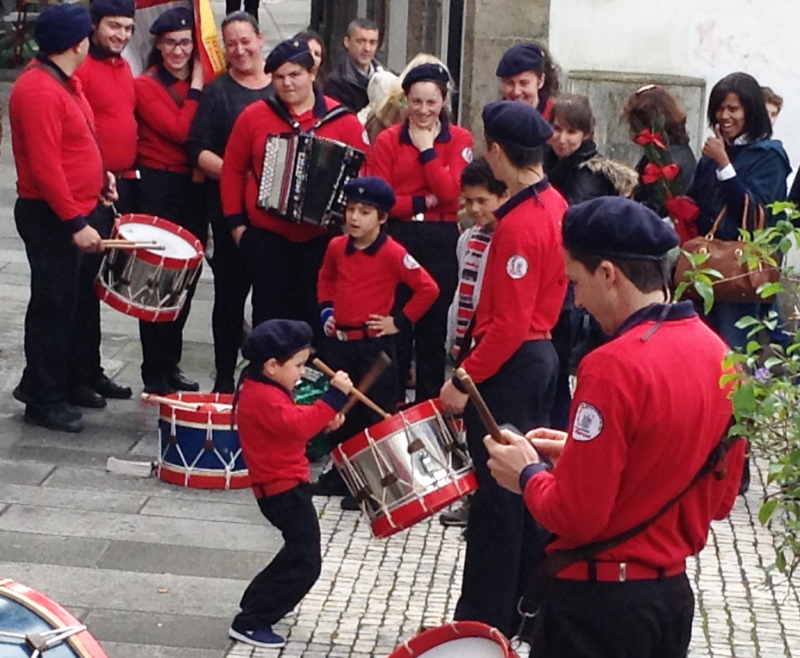 Other days it might be the drummers of the local fire brigade who come to town and play. This is the most macho show imaginable. 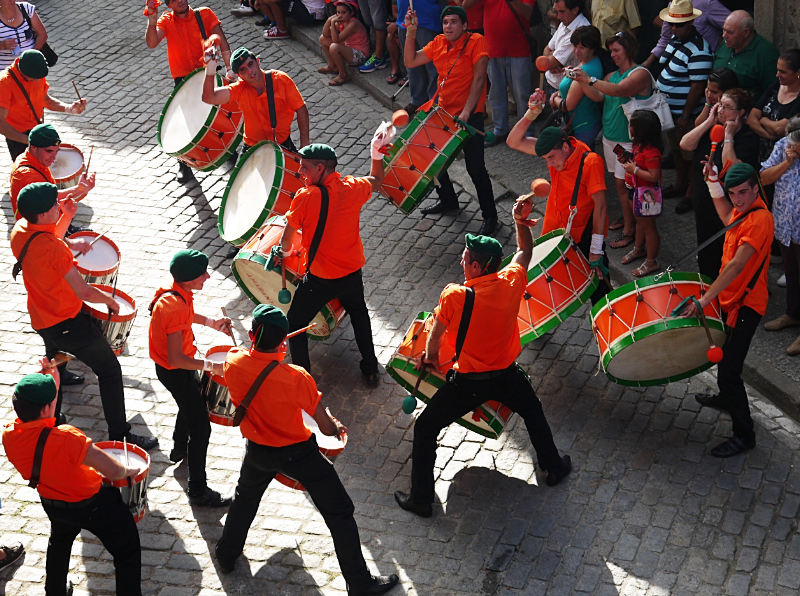 With splayed feet to give them stability, the men – and with these huge drums it always is men – raise their arms as high as they can and beat down on their drums in competition with each other as to who can make the most noise. The sound reverberating around the buildings is deafening. But it's not just men and women who dance and drum. 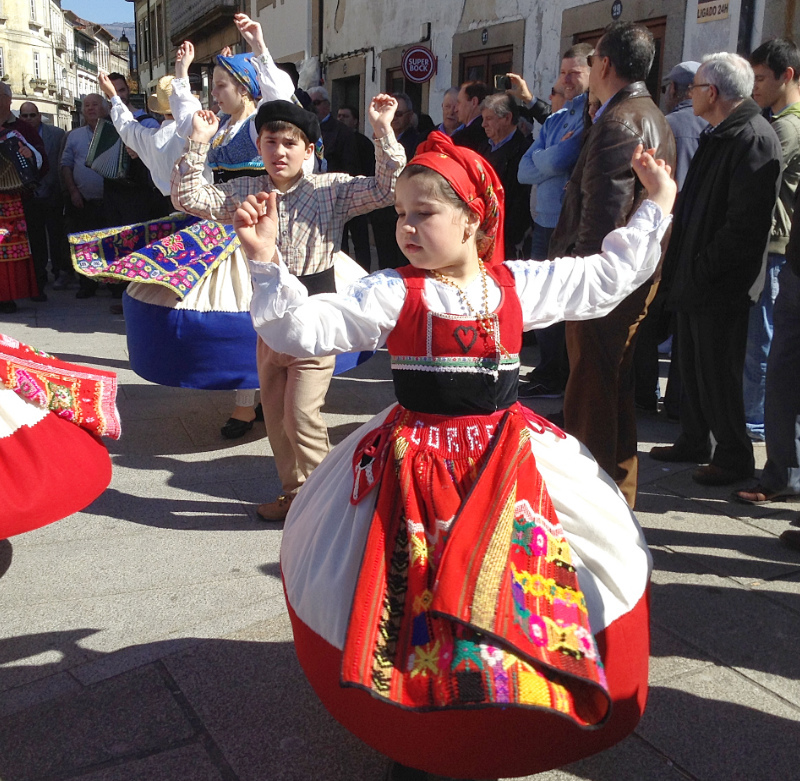 In the towns and villages of the Minho, tradition is held in such high esteem that young folk consider it 'cool' to play instruments, dress in traditional clothes and dance. Look at these delightful children. And I wish I could play you the drumming of this young lad who cannot be more than five or six years old and yet is already a virtuoso. Boy oh boy can he drum! Folklore isn't just the preserve of village and townsfolk, though. The local gentry also wear traditional dress when the occasion demands. 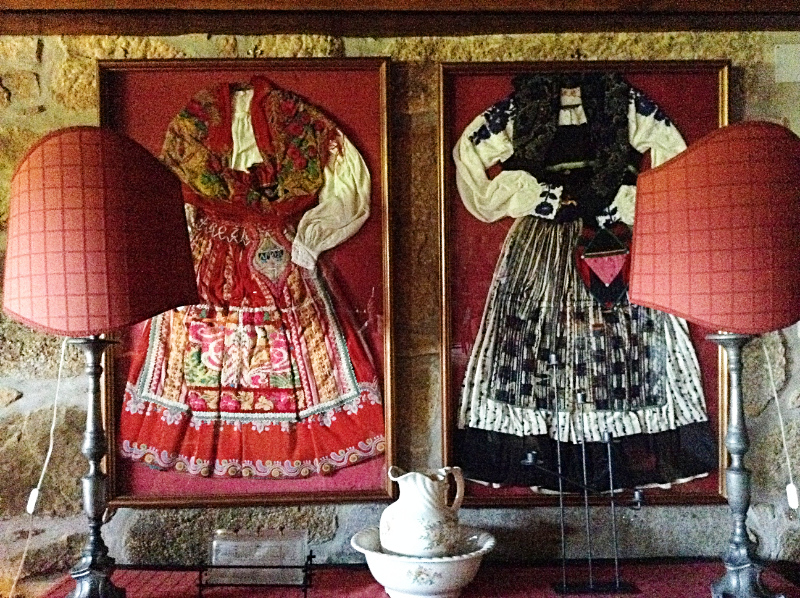 In one manor house, the owner is so proud of his now grown-up daughters' dresses that he has had them framed. 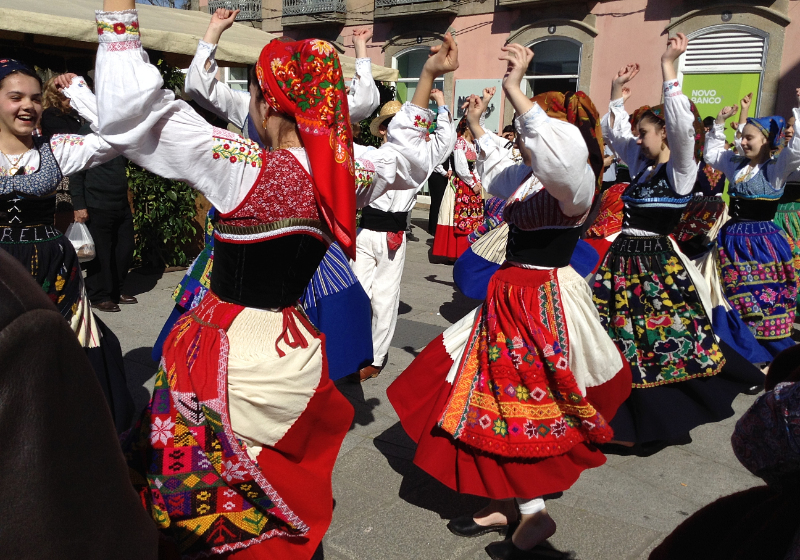 The joyful activities I've shown you here are not the municipally organised processions that take place in towns and cities on high days and holidays, some of which I've written about before: these are spontaneous displays by folk groups from the villages around the Minho. 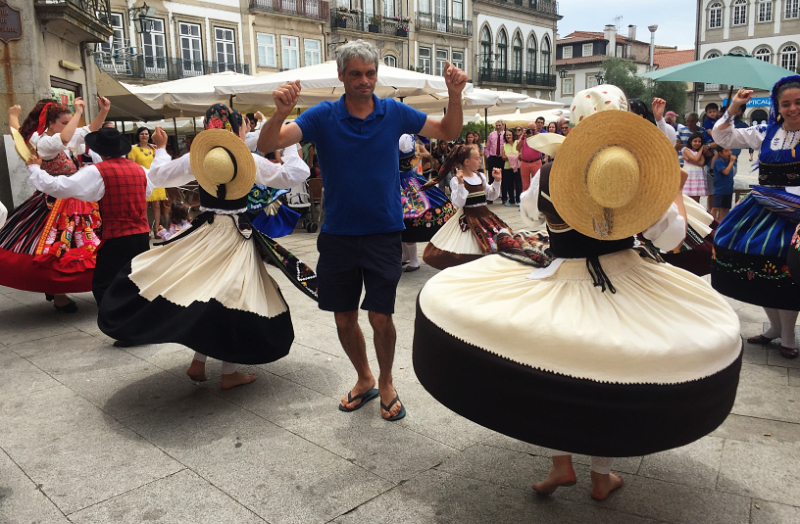 For us, when we go in to town to buy our groceries, finding a folklore group in full swing is serendipity, one of the many things that makes life in Ponte de Lima such a delight. The photographs are very quiet and attractive. I like your blog those photographs you are sharing. Thank you a lot for sharing this post with us. I got a lot of good tips from your blog. 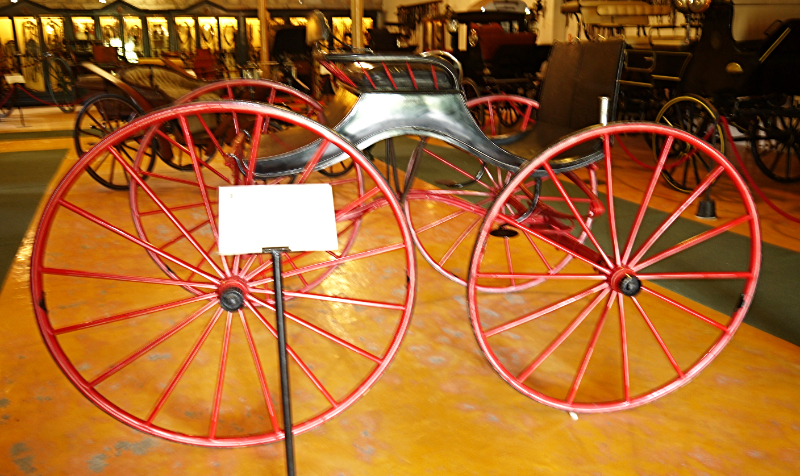 I always follow your blog to get good photos as well as information.